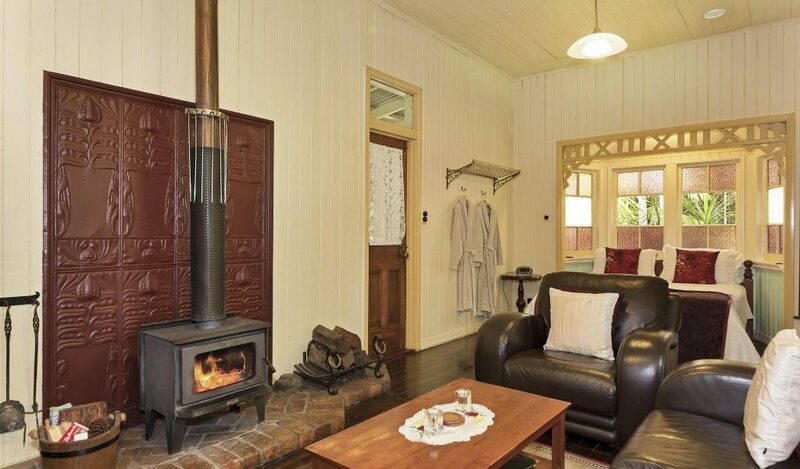 Accommodation for your next Montville family holiday! 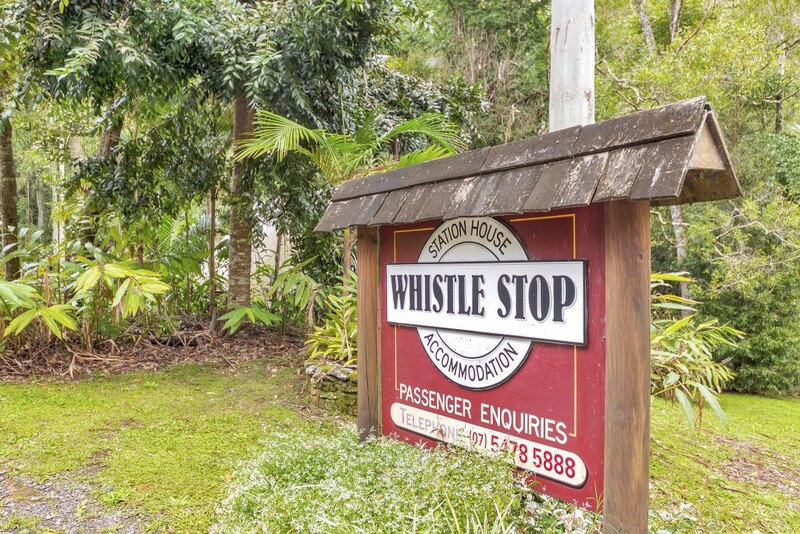 The Whistle Stop cabin is a heritage building steeped in history – and a great family holiday destination! 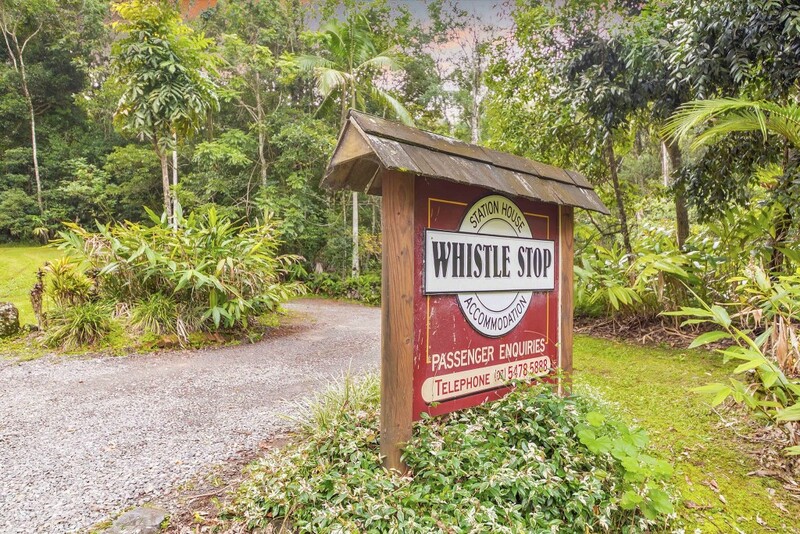 The Whistle Stop cabin was the first cabin on our grounds when we opened back in 1997. 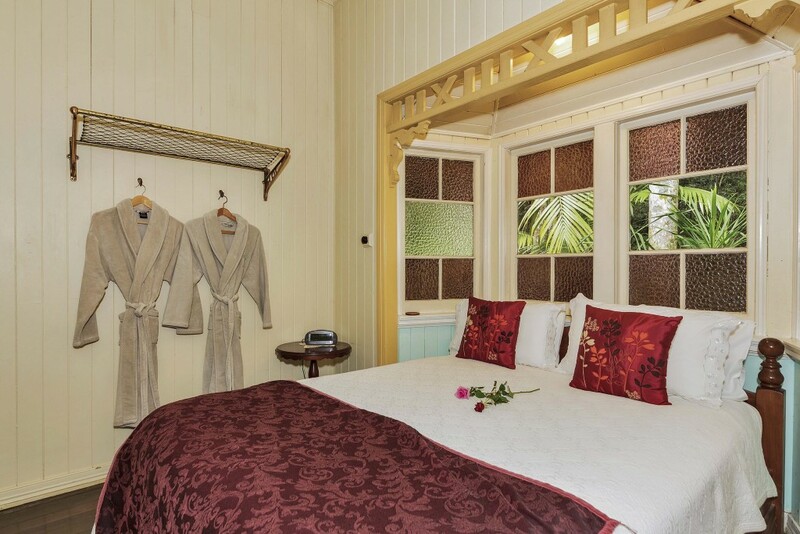 It is a beautiful and unique heritage-style building from 1910 that used to be a train station. 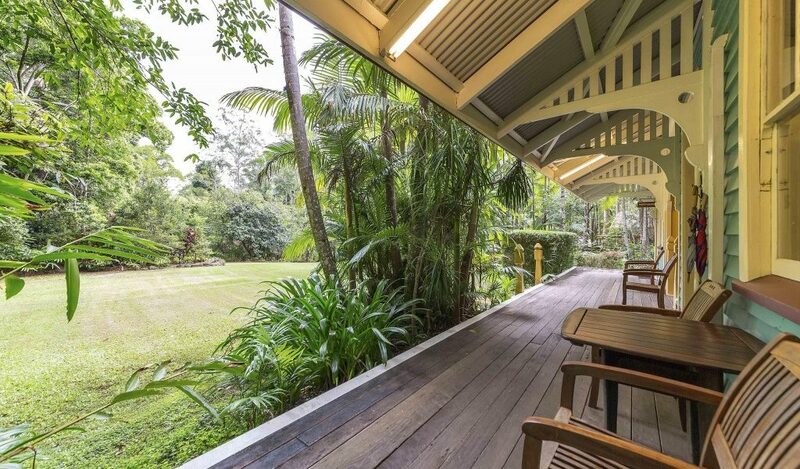 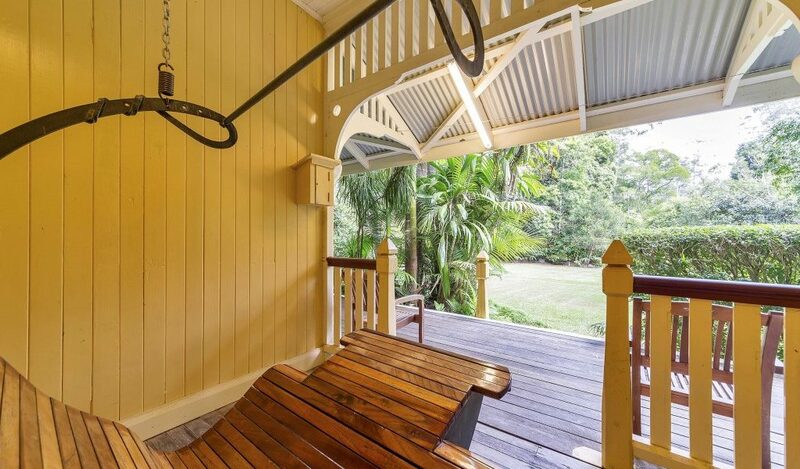 It was removed from Beerburrum railway over 20 years ago and brought to Secrets on The Lake where it was placed on our lawn next to a rainforest stream and to enjoy the rainforest views. 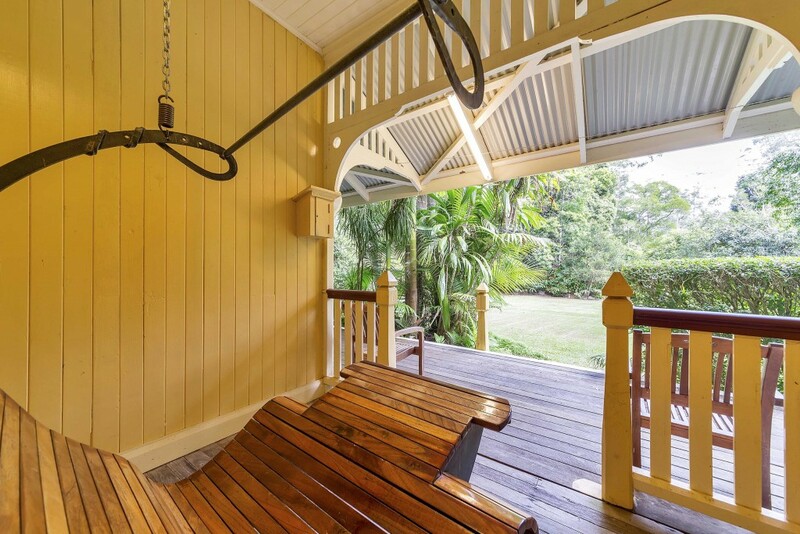 The Whistle Stop has been a labour of love and renovation and we have endeavoured to preserve its original beauty whilst adding modern luxuries and comforts to it. 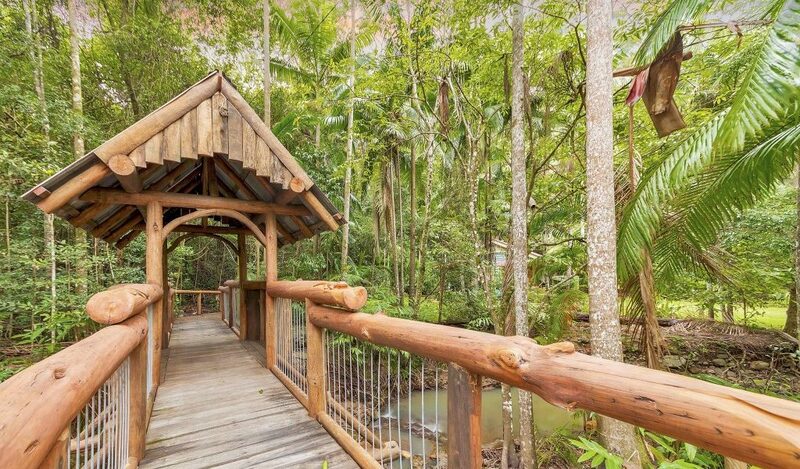 The 40 acres on which ‘The Whistle Stop’ is located has its own rainforest, streams and waterfalls. 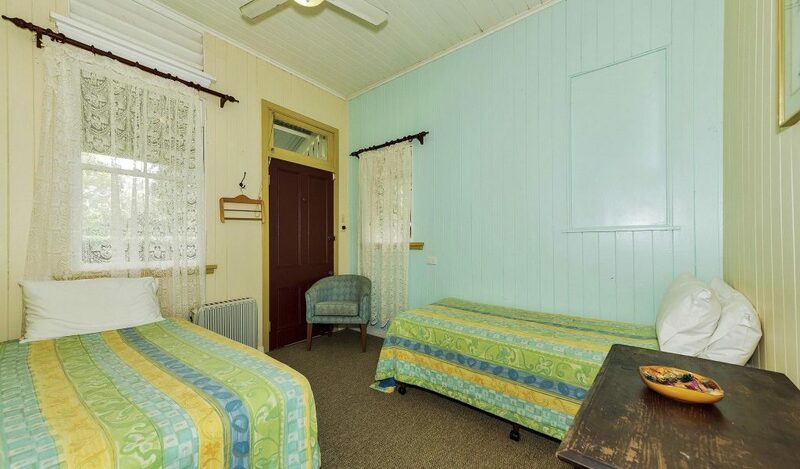 It can accommodate two or stretch to cater for a family or two couples as it has one queen bed and two singles. 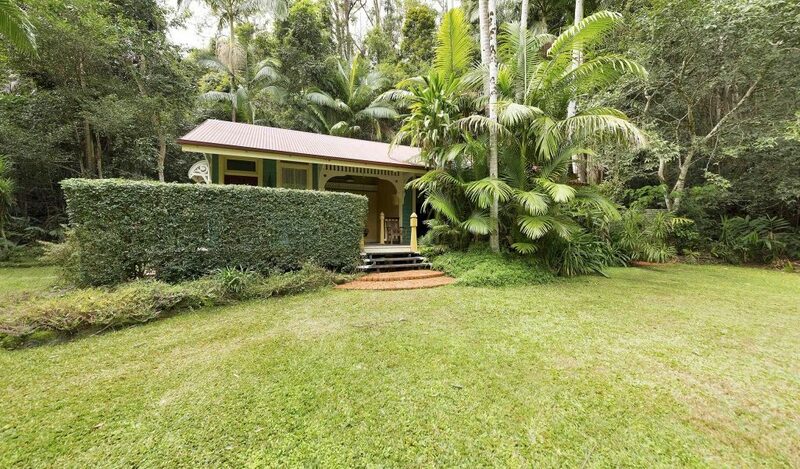 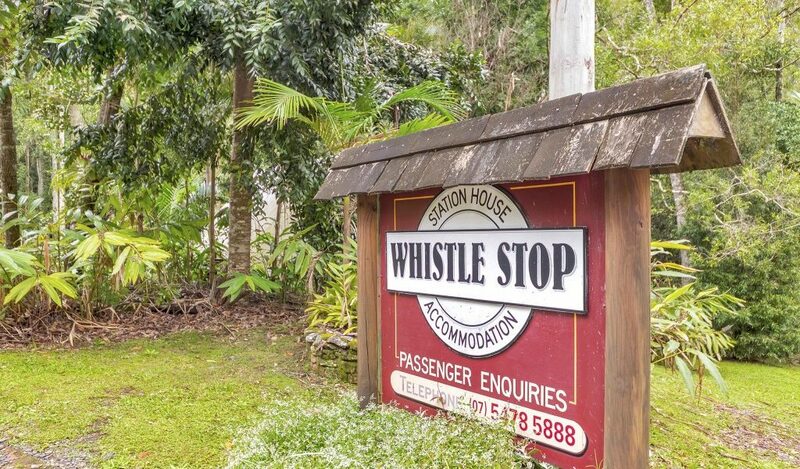 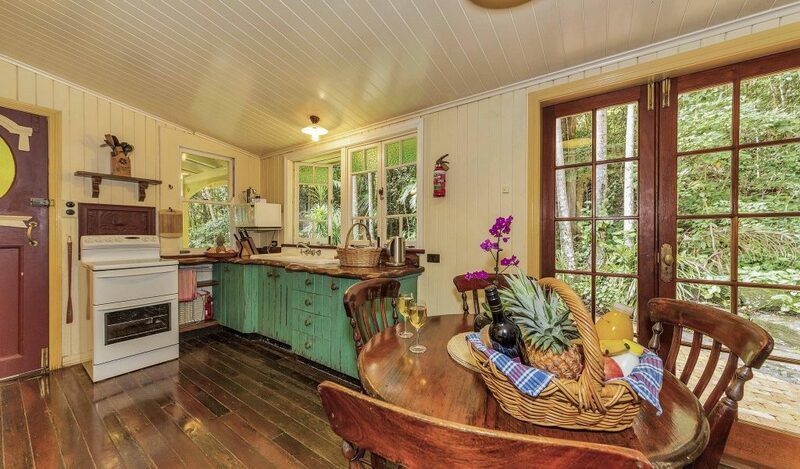 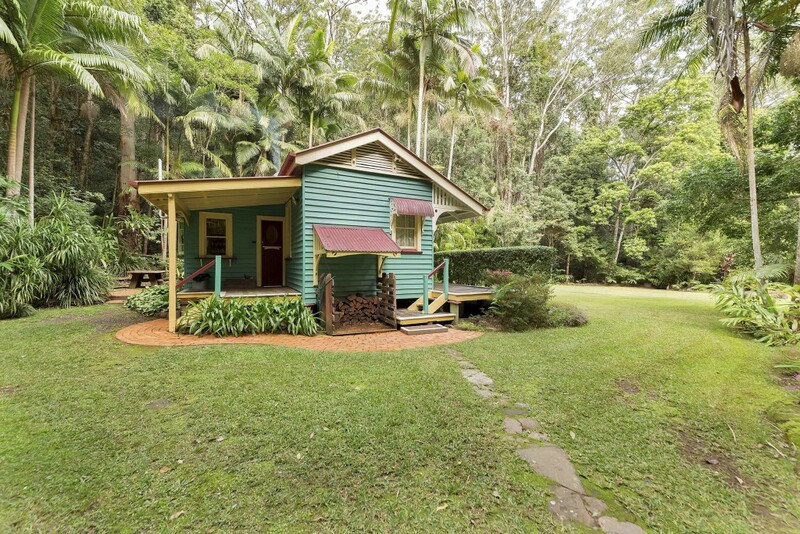 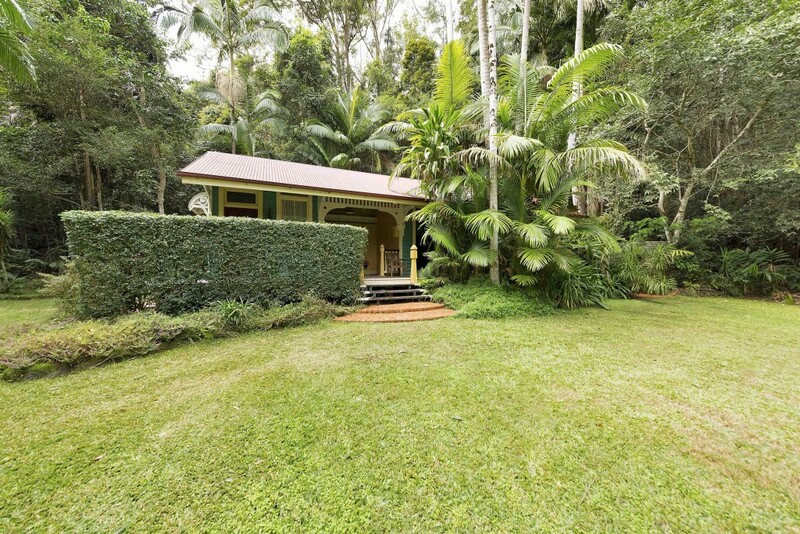 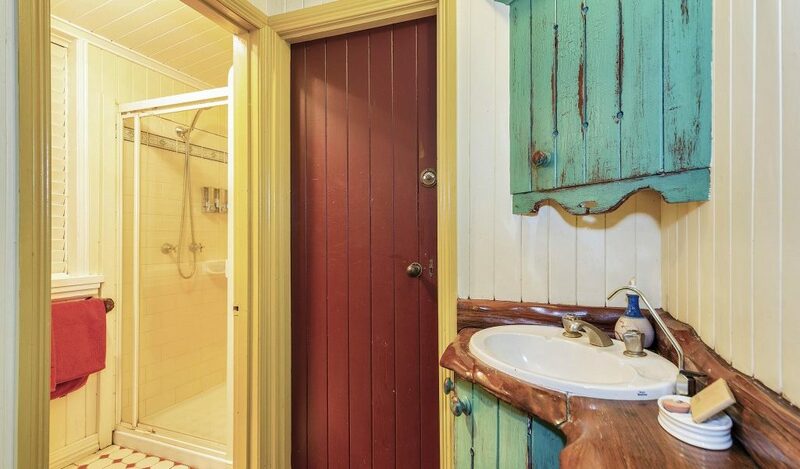 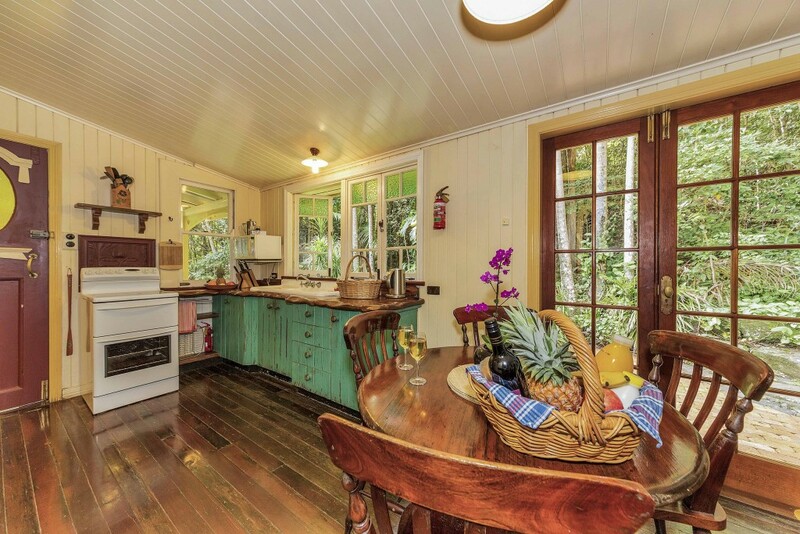 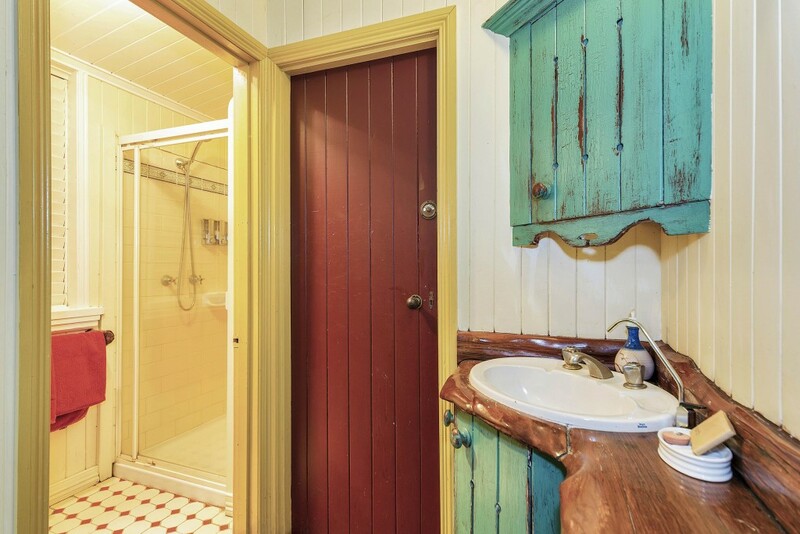 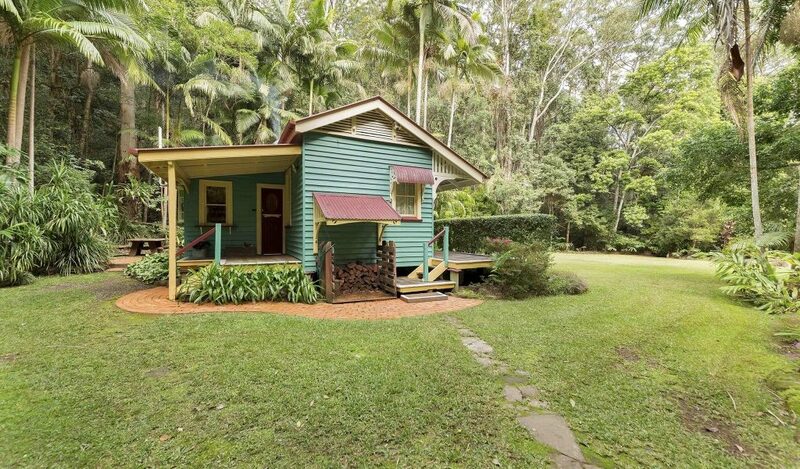 The Whistle Stop cabin is situated just 200 meters from the entrance to the Sunshine Coast Hinterland Great Walk, comprising of 58km of walking trails through some of the best scenery the hinterlands have to offer. 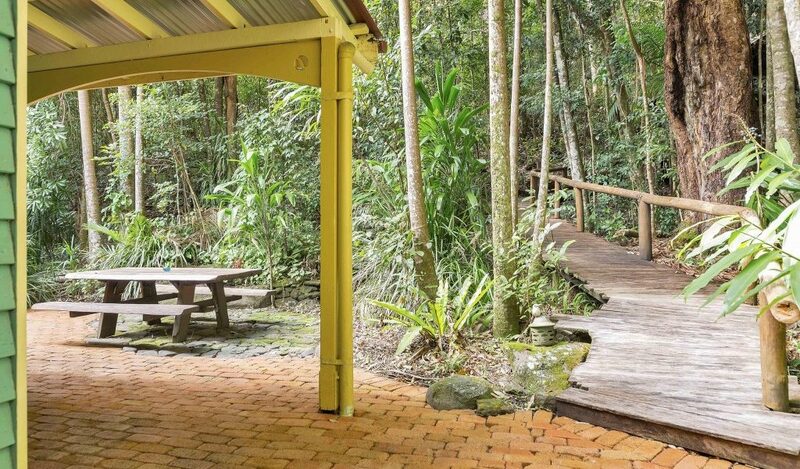 There is also a short rainforest walking track that leads down to the Obi Obi Creek, with its sparkling rock pools set in the lush greenery of the Queensland State Forest. 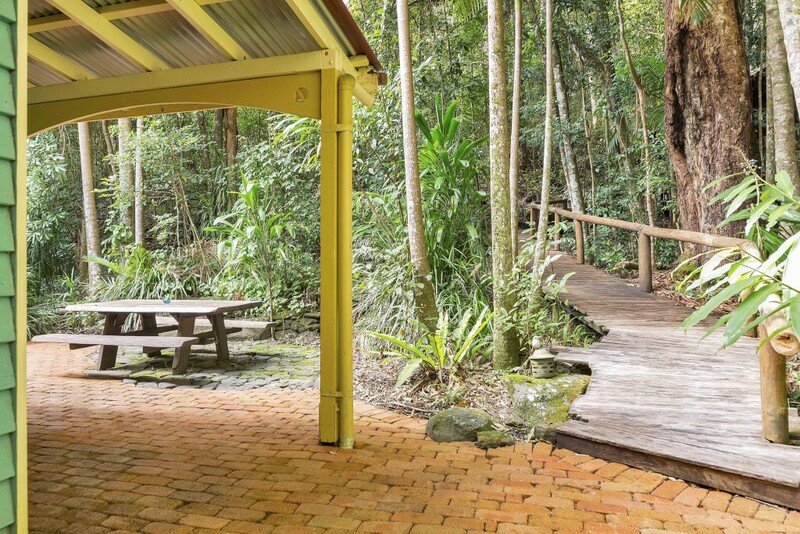 A rock hop further down the stream is the famous ‘Narrows’, a natural wilderness where the river has carved a sheer path through solid rock over the centuries. All of these natural wonders make The Whistle Stop cabin a truly unique and beautiful accommodation option for families looking to unwind and spend some time exploring nature. 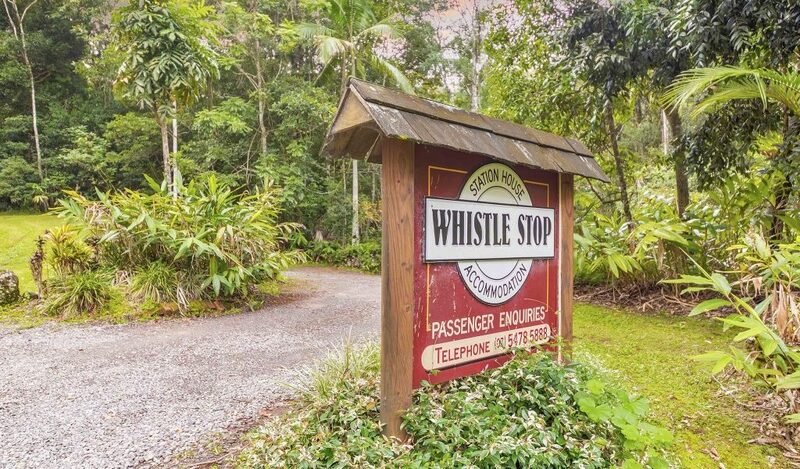 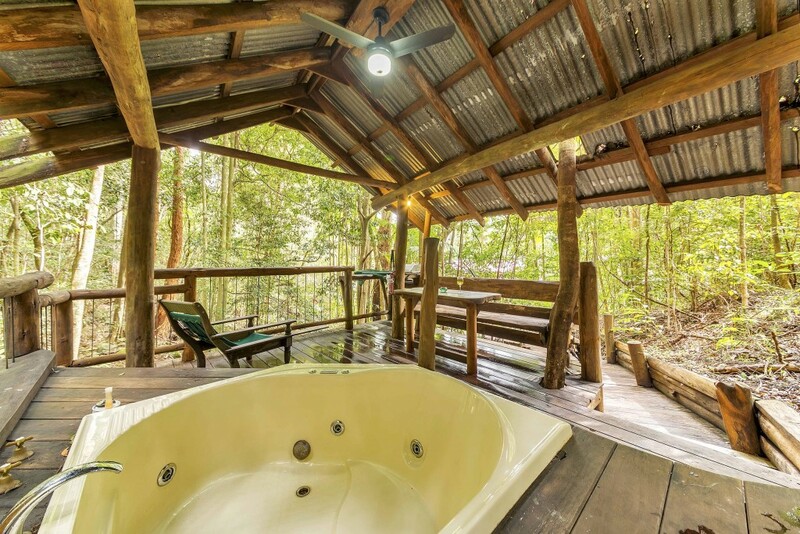 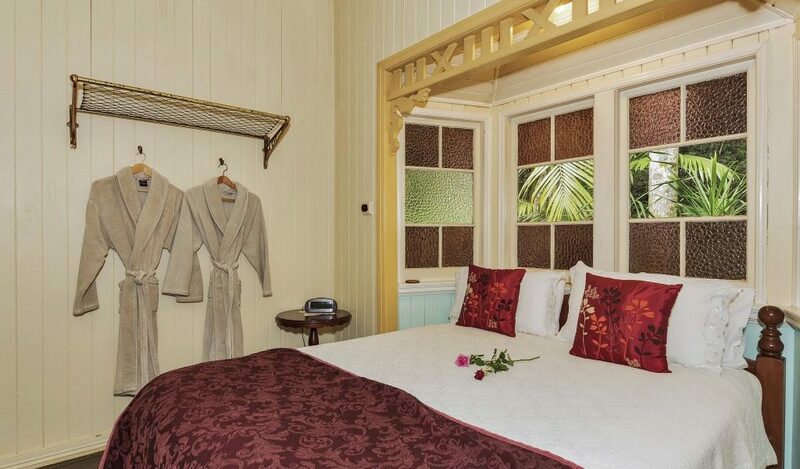 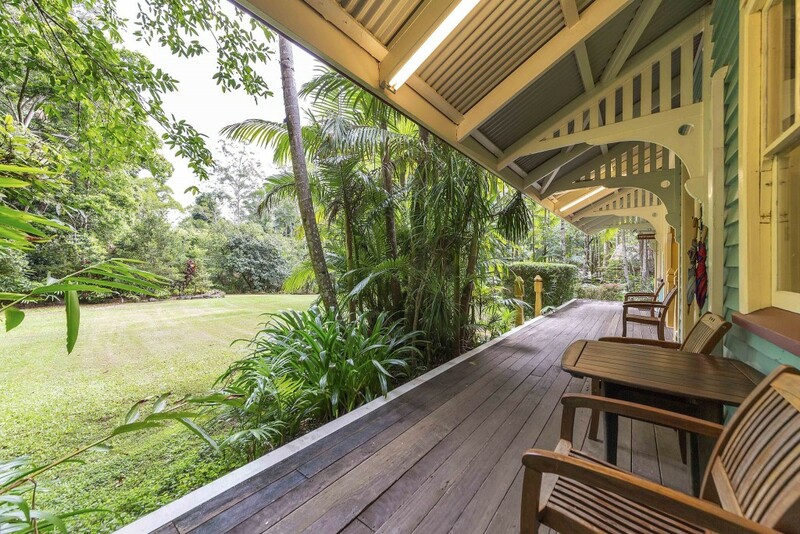 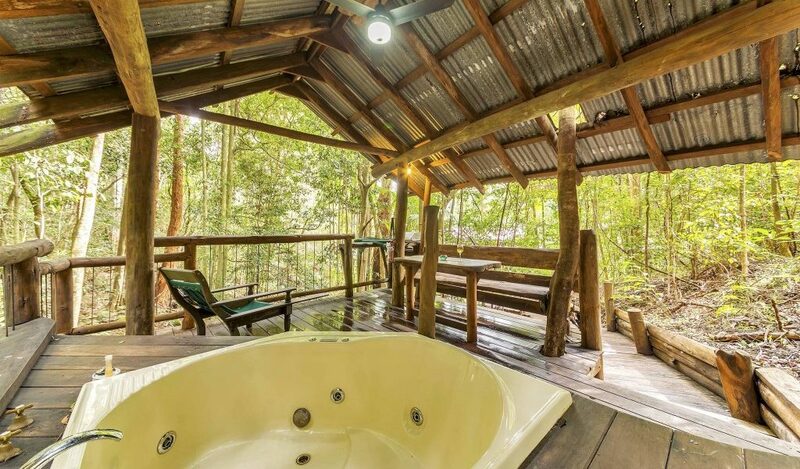 The Whistle Stop offers our guests a very versatile rustic-style holiday experience in an idyllic rainforest setting. 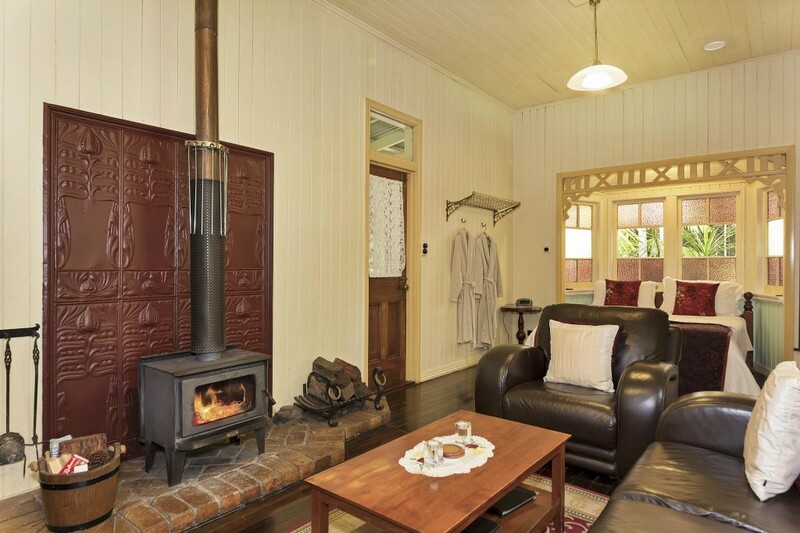 It is a unique addition to the popular Montville accommodation area as it is able to accommodate and cater for families or couples while still offering all of the special things available at Secrets on The Lake. 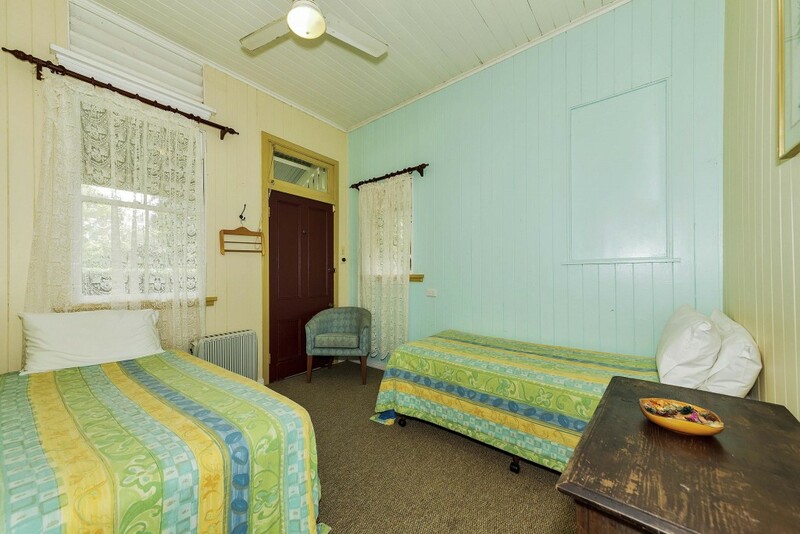 Please note you may not have mobile reception in the cabin and you will also not have internet access, if you’re requiring internet you will need to head back to the reception foyer.